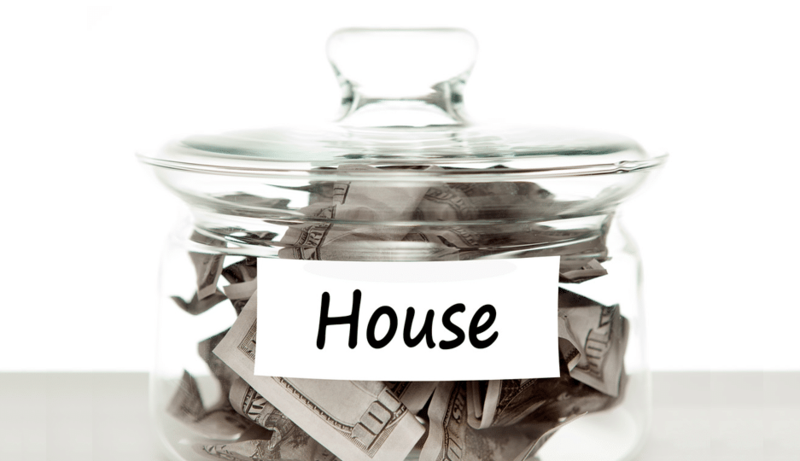 Thinking of buying a home but don’t have a 20 percent down payment? If you take a look at these types of loans, you may be pleasantly surprised. The down payment’s what many people see as the main barrier to buying their first home. Some industry professionals recommend as much as twenty percent. With a median U.S. house price of $188,900, that’s a terrifying $37,780! Even if you were to pay the minimum required down payment on many mortgages, that’s still around $7,000. And if you’re living in New York City or California, it gets even worse. Since the median home price is between $393,000 and $916,000, your down payment is going to be much, much more than that. The good news, though, is that you have a lot more options than coming up with that down payment on your own. For starters, there are down payment assistance programs and no down payment mortgages. You can also get low-interest loans through US government programs and private lenders. All these different kinds of mortgages can make buying a home easier than you think. Let’s have a look. Your dream of buying a home may be closer to reality than you realize. Home ownership is good for the individual, but it’s also great for the community. When rents are rising, stable housing payments help people stay in neighborhoods longer. Not only does a stable, settled population make an area safer and friendlier … Home ownership can also boost school funding. Since school funding relies on property taxes, involved home owners can help build better schools. Better schools, in turn, raise property values. See how that works? Toward this end, the the US government offers a number of programs to help first-time home buyers … and other. afford their down payment and mortgage. These include some, like the FHA Home Loan, that you might have heard of … And others, like the USDA Loan or the Good Neighbor Next Door Program, that you might not have. If you don’t have a 20 percent down payment, you can still buy a home. Photo: CC By A-SA 2.0 David Trawin via Flickr. While not as well known as the FHA Home Loan program, the USDA Loan is a good option for anyone who is considering living in a rural area. With the USDA loan, the government guarantees the loan. There may be no down payment required, and payments are fixed, which makes planning your expenses easier and more manageable. The FHA Home Loan is the go-to program for people whose credit is less than perfect, which includes (but is not limited to) many first-time home buyers. Here’s how the FHA Home Loan works: the Federal Housing Administration guarantees a portion of home loans. This allows the lender to accept borrowers they otherwise might turn away, and allows borrowers with less-than-perfect credit to qualify for loans with a low down payment. First-time home buyers can qualify for a tax credit on their federal income taxes equal to twenty percent of the mortgage interest they pay every year. The Mortgage Credit Certificate (MCC) remains in effect for the life of the mortgage loan. This program is only for first-time homebuyers, and other conditions apply. Find out more at the GSFA website. Fannie Mae and Freddie Mac are government-sponsored organizations. They work with local lenders to help low and moderate income individuals to acquire mortgages with competitive interest rates and low down payments. They also run a homebuyer education program called Framework (http://www.frameworkhomeownership.com). It can teach you how to determine how much house you can afford, how to choose the best loan for you, how to improve or fix your credit, how to navigate the steps of the mortgage process, and how to craft an offer. People in specific “good neighbor” occupations — think teachers, first responders, law enforcement officers, and firefighters — who are willing to buy a home in a “revitalization area” can receive a 50% discount off the price of a home. The U.S. Department of Veterans Affairs helps veterans, active-duty military, and surviving military spouses to buy homes. With VA loans, the Veterans Administration guarantees part of the loan, making it possible for lenders to offer competitive interest rates and no down payment mortgages. There’s no minimum required credit score, and with VA loans, you don’t have to pay for private mortgage insurance (PMI). The National Homebuyers Fund is a nonprofit benefit corporation dedicated to increasing responsible home ownership across the United States. They offer a grant for down payment assistance and to help with closing costs. That’s right, it’s a grant, which means you don’t have to pay it back. The grant may be up to 5% of the total home price —potentially thousands of dollars — and can be used in combination with FHA loans, VA loans, the USDA loan, or even a conventional loan with PMI. You might also qualify for a down payment assistance loan. These are interest-free loans that must be repaid only when the house is sold or the first mortgage is paid off. The average amount needed for a down payment assistance loan is between $5,000 and $20,000, but some programs offer even more than that. If you’re military-affiliated, the government has some terrific opportunities for you, including no down payment mortgages, VA loans, and loans from the Navy Federal Credit Union. Not military? Don’t worry! There are no down payment mortgages available for you, as well. VA loans are a type of no down payment mortgage. If you’re a veteran, active duty service member, surviving spouse or qualified reservist, you may qualify for a low-interest home loan with no down payment through the VA loans program. If you’re a member of the military, a qualified civilian employee of the military or U.S. Department of Defense, or a family member of the same, you may qualify for a home loan through the Navy Federal Credit Union. Navy Federal loans are similar to VA loans, in that they are also no down payment mortgages. Navy Federal loans also come with a slightly lower funding fee for first-time home buyers. USDA Loans with no money down. USDA loans are another type of no down payment mortgage available to military and non-military home buyers alike. 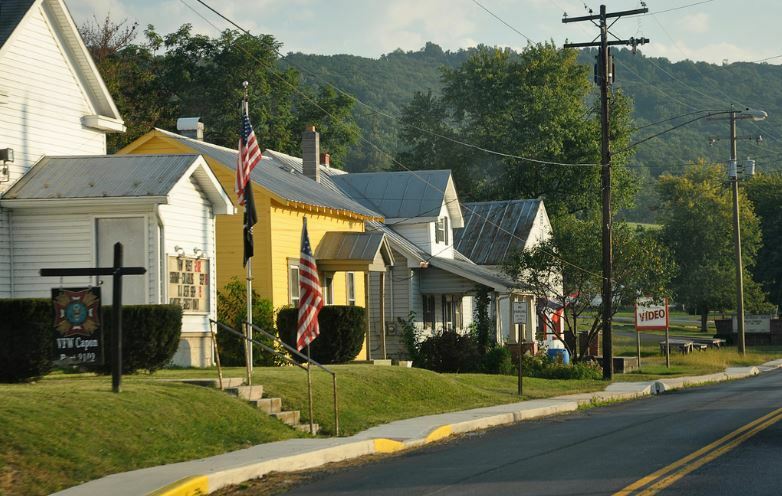 The USDA loan helps prospective homebuyers to purchase homes in rural areas. Some have no down payment, low-interest rates, and fixed payments. Two popular USDA loans are the single-family direct homeownership loan, for low income and very low-income buyers, and the single-family guaranteed homeownership loan. You can find out more about these programs at the USDA website. Here’s a video by a realtor in California showing you how to use the USDA’s eligibility map to get a no down payment mortgage from the USDA. The Neighborhood Assistance Corporation of America, a non-profit community advocacy, and homeownership program offers what it calls the “best mortgage in America”: it’s a no down payment mortgage with no closing costs, no fees, no income limit, and no credit restrictions. They also offer homebuyer mentoring, and assistance for homeowners who can no longer afford their mortgages. The Department of Housing and Urban Development (HUD) has a special program to encourage Native American and Alaskan Native homebuyers. The government will guarantee fixed rate, low-interest mortgages for individuals, tribes, and Alaskan villages. The loans can be for existing properties, new builds, property rehabilitation and more. For more information, see the Section 184 page on the HUD website. If you’re a general buyer who doesn’t qualify for any no down payment mortgages, an FHA home loan can get you in for just 3.5% down. Or, how about a conventional loan with PMI (private mortgage insurance)? Unlike FHA loans and other government-backed mortgages, conventional loans generally require a higher credit score. This is because the government doesn’t guarantee the mortgage in case the buyer defaults. In the case of a conventional loan with PMI, that risk is assumed by the lender. Private mortgage insurance, paid for by the borrower, protects the lender in the event that you default on your mortgage payments. A conventional loan with PMI does have stricter requirements than an FHA loan. On the other hand, though, you can often get an even lower down payment than FHA’s 3.5%. If you have a steady income, you might also consider adjustable rate mortgages. Many people prefer fixed-rate mortgages to adjustable-rate mortgages because the monthly payments for fixed-rate mortgages remain the same over time. The interest rate for adjustable rate mortgages is tied to the LIBOR or another market index, which means that your interest rate, and therefore your monthly mortgage payment, rises and falls with that of the index. While a lot of people prefer a predictable monthly payment, adjustable rate mortgages sometimes reward the borrower with a lower initial interest rate and the possibility of lower monthly payments later on. Also, if you’re planning to fix and flip your house or have other reasons to believe you’ll sell your place and move within the next 2-5 years, the lower interest rates may be worth it. The most popular adjustable rate mortgage is what they call a 5/1: You get the same interest rate for 5 years and after that, it adjusts every year. All ARMs have a lifetime cap so your interest rate can only go up to a certain point. A periodic cap can also limit the interest rate increase for each adjustment period. Here is a handy table that lets you compare mortgage rates and features for a number of different low down payment and no down payment mortgages. What is a PITI calculator? PITI stands for Principal (the initial amount you’re borrowing), Interest, Taxes and Insurance (if you have a conventional loan with PMI). A PITI calculator is a tool that combines this information to help you to estimate what your monthly payment will be. With a PITI calculator, you can compare mortgage rates and features, and try to find a loan that will be the best fit for your particular buying needs. Here’s a simple PITI Calculator via PitiCalc.Com. Your browser doesn’t support frames. Visit Piti Calculator to see this content. The PITI calculator at Free Online Calculators (https://www.free-online-calculator-use.com/piti-mortgage-calculator.html) allows you to not only to calculate your monthly mortgage payment, but also how many hours you would have to work at your current (pre-tax) hourly wage to make that payment each month. US Mortgage Calculator.org’s PITI calculator (https://usmortgagecalculator.org) also allows you to factor in things like HOA fees and one-time expenses, as well as to calculate for either monthly or biweekly payments. Home buying can be an exciting time, and there are so many options to make it easier than you ever thought possible. But it’s important to do your research and know what you’re getting into. Understand your own financial situation, and what you can and cannot afford on your budget. Compare mortgage rates, figure out what kind of down payment you can manage, arrange for down payment assistance if necessary, and be realistic about your limitations. Chances are, even with limited resources and less-than-perfect credit, that new home can be yours. Featured image: CC 2.0 Tax Credits via Flickr.